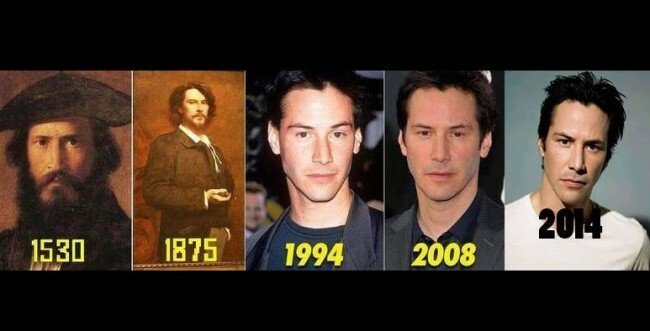 I have characters in my novel who reverse age and become younger due to a rare gene, but does anyone actually believe Keanu is an ageless time traveler or vampire? Is it a joke? Below are some websites and you can decide for yourself.